By now I think it is self-explanatory that I’m a huge lover of jewellery, particularly any that falls vaguely into the remit of bohemian as I just love how seems to possess a natural earth type vibe to it; it’s almost magical. A few weeks ago I featured some of my recent purchases from Shop Dixi which is a site which sells a variety of different pieces of jewellery which are in my opinion all beautiful; I find it quite the struggle to come off the website having not ordered anything. From rings, to necklaces, anklets and earrings there’s sure to be something to catch your eye. Shop Dixi regularly launch new collections of which the new Harvest Moon Collection launching on June 7th is sure to be another popular one. I’ve had a sneak peak at the collection and have picked out just some of my favourite pieces which I have featured above. I already own the Black Arya Onyx ring however I’m extremely tempted to add the Blue Topaz one to my collection, it is extremely beautiful and being blue (my favourite colour) it’s an almost given that I’ll be adding this to my jewellery box soon. Don’t forget to check out the Harvest Moon collection at Shop Dixi tomorrow, it sure is magical! 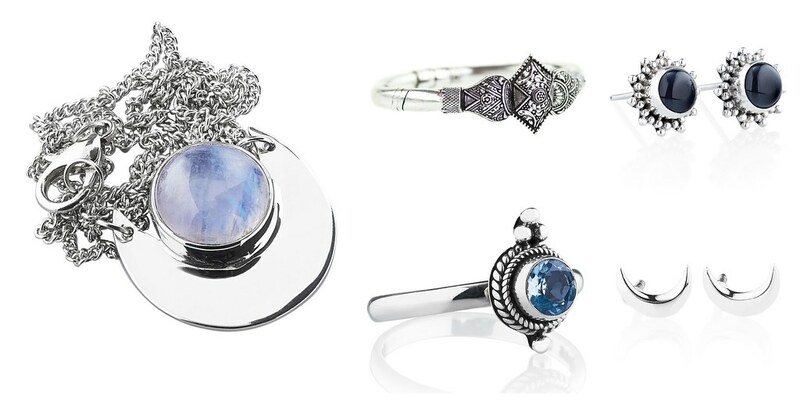 These lookbook images have kindly been provided to me from Shop Dixi. This was not a sponsored post, I just happen to really adore the site and the jewellery and wanted to share with you a glimpse at the new collection launching tomorrow.